Charlies mom, Margaret, and Ethan were here for spaghetti dinner. Ethan and Toby are very close and Toby can't get enough of Ethan when he is over, especially when he is sharing spaghetti with him! Too funny! Ok last night I wore my clover to the golden nugget casino, charlie wanted me to meet one of his sponsors "Poppy the pizza guys". He had a pizza wagon outside of Binions (old downtown vegas)where he is selling his pizza at, he will be there all weekend so go eat pizza and tell them "Infernomotorsports sent you"
Anyway, we went into the golden nugget to have a cocktail and play some keno, I was playing 20.00 in a quarter keno machine and BAM! 1500 quarters, that equals 375.00! THEN....Friday morning Colleen, Pat k, Pat s, and I went to bingo at sam's town and colleen and I won on the same game and split a bingo for 125.00 each!!! Oh the fun never ends in this town!!! I love my Lucky Clover!! Luck be a lady or a clover! I have been taking jewelry classes but only one or two a month, with work being slow as it is. I still need to be creative though so yesterday I took this class, we made a clover from a mold using silver art clay then we filled it with emerald green resin and lucky me it came out beautiful, I can't wait to wear it to Bingo!! and having a fabric artist for a friend is not too shabby either!! I had this jacket that my sister gave me years ago, then I went to see Love show here in Vegas, bought this t-shirt, of course one washing and it could fit a 5 year old..so I thought I will just sew it on to the back of the jacket, well I use to sew but not by hand and never clothing, I knew this needed an expert, Tanya agreed and just look at the beautiful outcome, she made a little quilt using some peter max fabric (yellow submarine look) put that as the binding, quilted little squiggles and hearts on the shirt part and attached it to the jacket...AWESOME!!! I am going to use the jacket to house all my charms from this group of artists...Thank you Tanya! This is my haul from scrapbook expo, I bought the zutter bind it all to make books, a case for my cropadile, a see thru desk tote, and in the bottom of the photo are the 2 albums I made, one is for Briannes friend (Stephanie) who is getting married, the other is for me to highlight all my jewery friends I have met. Now I have an album for all my scrapping stuff, my desert newcomer stuff, and now my jewelry stuff! Here is a friend page from my jewelry album, thats Betty, she is a very kind person, I love this page! The blue box is for my journaling, I need to get started on that..I still need photos of some of the friends I have met, Debbie W, Jodi, Amanda, Tanya.....so be on the lookout girls I will have my camera with me!! There were about 150 women scrapbooking there and the shopping was great, Me, Mary N and Mary F, and Christy had a great time, I am so ready to go back and do it again!! Get out there and enjoy the world, take a trip and explore, do what you love and love what you do...life is too short to be unhappy! Colleen McGraw turned me onto Seal's new soul album, Wow, it is real nice...I love this song, a lot of people sing this song when they try out for american idol, Seal does a wonderful job on this...enjoy and I will see you all back here sunday! Ok I am off again...back to California for the scrapbook expo! I will be cropping all day long friday and saturday and then I fly back home sunday morning! Stay tuned for photos of the event! We drove down to Long Beach for Maureen's Birthday party, it was lots of fun, good food and dancing! Marilyn Monroe was there and the Young Elvis...we danced from 7 to midnight. Thanks for the fun night and the hotel room, Ralph and Maureen, see you in March! Vinyl art business up and running! Check out my esty store for vinyl wall art! I will be adding lots more fun stuff in the next few weeks! So stay tuned and support your starving artists!! Here is a photo of Mr. Jingles, he is waiting for Toby to come and have lunch! I am in a charm swap with some artist/jewery friends, there are 11 of us. Our first swap was a couple months ago and they were fabulous, this time around we had a theme of Romance...lots of love went into these...here are all my charms I have collected so far, I am trying to design a necklace to display them all as a charm bracelet is too much for my wrist. Our next swap theme is "wizard of oz" that is going to be fun! They are due in May! Wow, that was a good game yesterday!! The steelers won so I bet 20 and will get 40 back. 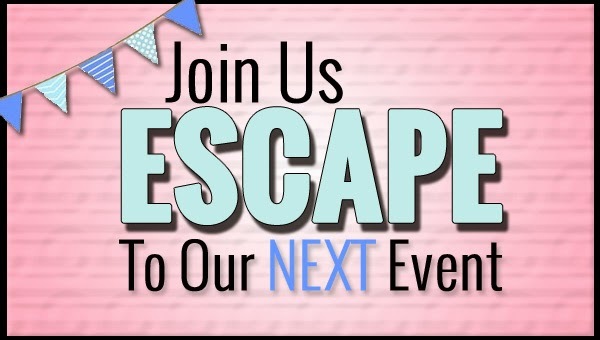 I have lots of scrapbooking to pack up for my trip to the scrapbook expo the 12th to the 15th...but this saturday I will be at a friends birthday party, it is a 50's theme costume party and I already got my outfit so stay tuned for those pictures! We have to go get charlie some black and white converse sneakers for his outfit...lots to get done today so I am off and running!! oh don't forget to check out the game I added to the right side of my blog, if you play you may come across my photo! You have to guess peoples ages based on photos! We are staying home and I am making carnitas tacos, I am betting 20.00 on the Steelers and Charlie is betting 20.00 on the Cardinals, so we have a real rival going on today!! We will just relax and watch football! I posted a new wine for february on the right hand column, check it out! I chose this wine for it's dark pink color and it is sweet for valentine's day but it has some chardonnay in it so it is not too sweet. Perfect to serve on Valentine's day!